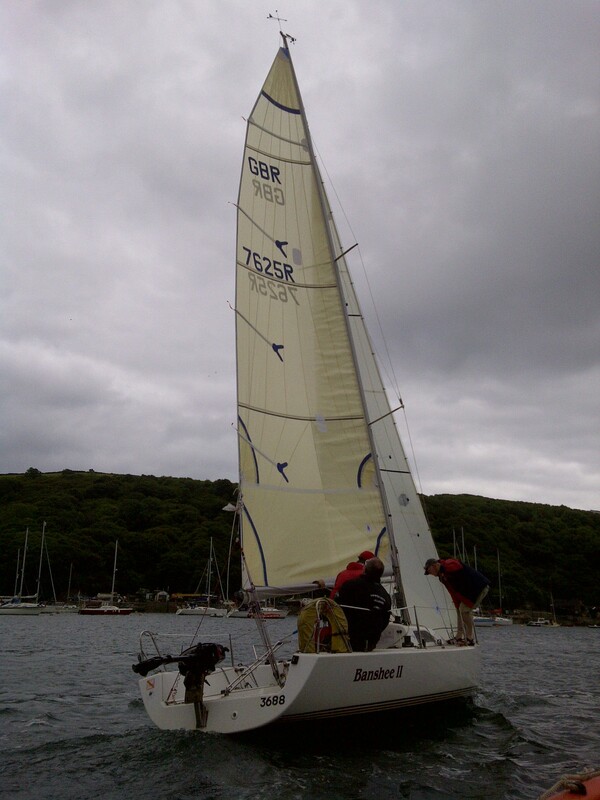 Above are a new set of sails for Banshee II. Aramid X-tech tri-radial main, Pentex No2 Jib and Aramid x -tech No1 tri-radial. Using the best design software, Sail Shape was able to develop a fast but controllable mould enabling great upwind performance with without suffering the down hill speed with its large rack. 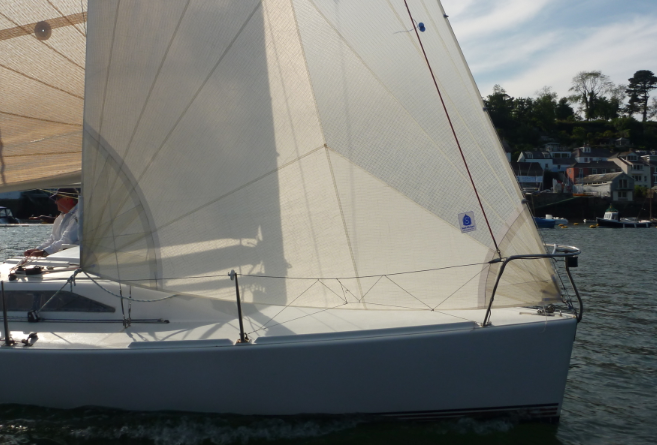 Using a radial head on the main and Genoa allows this section to hold it draft at the top of the wind range keeping the center of effort forward making her perform better in breezy upwind conditions. Made from Pentex, tri-radial, hanks/luff cord, camber strips, IHC certified for endorsed IRC vessels and tube bag.